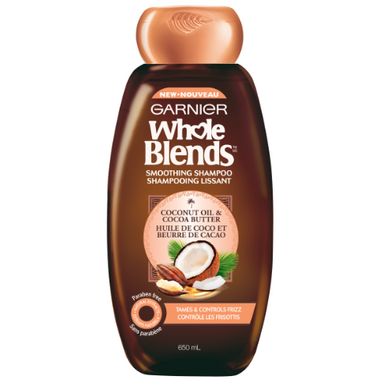 Garnier's velvety formula blooms with an exotic fragrance of coconut oil & cocoa butter, bringing to life our wholesome care that nourishes hair, taming frizz & flyaways. Directions: Massage into wet hair, lather & rinse thoroughly. Follow with the Smoothing conditioner. For extra care, discover the Smoothing leave-in treatments. love this line amazing healthy shiny hair, and healthy scalp.